Anyone know if there are any decent guitar techs/ guitar repair workshops in and around Aberdeen? There aren't any these days. You might need a trip to the central belt. There's a guy in the west end (forest avenue area I think) who's supposed to be quite good. Haven't got a contact for him I'm afraid and I can't even remember his name, so this may not be much help. But maybe it'll jog someone elses memory. Jamie from Bruce Miller's recommended him to me (I was asking around for a friend so passed the bit of paper with his details onto him, oops), so you could aways wander down to their guitar dept and ask him or whoever else is around. I use a guy who has a workshop on Gray Street, maybe its the same guy? Although last time I spoke to him he said he was concentrating on building new guitars rather than repairing them, although he would continue to do repairs for existing customers. Oliver at strathbeg.com in Maud. I usually tinker with my own guitars but when I got a Highway 1 Strat last year I thought I would get someone else to set it up. The previous owner had a very high action and really heavy guage strings. I was happy with the work and the price (prices for routine jobs are on his web site or he can give you a quote for other stuff if you e-mail him). Was very handy for me as I live in Peterhead but still much nearer than the central belt. I picked up my guitar the next day. No messing about. Also, D'ya have an idea how much could cost to scallop the fretboard? My old man found a guy in Aberdeen to set up his Selmer copy, so there is indeed somebody doing it. His name escapes me, although maybe he only does acoustics. Can recommend Graeme, hes done my guitars for years and ive always been happy with results. Marshall Dow is somewhere in Aberdeen. I've no experience with him though to give experiences. Jimmy Moon in Glasgow (he built my guitar and also did some work on my uncle's SG, can highly recommend him ). Jimmy Egypt aswell is quite renowned but never had any experience with him either (Glasgow based too). 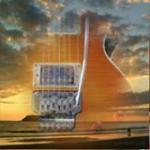 dave cherry in cruden bay dave@cherryguitars.co.uk. Big +1 and for kinellar guitar studios from me, he has only done a small job for me in the past but has wworked on my guitarists guitars a couple of times and he's very happy with the work...!! Aye, Dave's a top geezer. Repairs, set ups, and cracking original builds. Strathbeg is good as well and quick, got an SG switch repaired and back "delivered" in a couple of days.